How to be an awesome and effective board member - in good times and bad. Last week I had the privilege of meeting the most engaged, dedicated, and effective nonprofit Board member I've seen in quite some time. Two immediate things came to mind...What keeps him motivated and why isn't he on one of my boards? I asked him and he bashfully responded "aren't all board members like this? "...I wish new friend, I wish. I began serving on boards about 7 years ago after participating in the Seattle Works board governance training program, The Bridge. The program prepared me for the basics of board service - reading financials, legal responsibilities, fundraising, and roles of board members. I highly recommend that any new or rusty board member find a similar program in their area. Do it! With board training under my belt, I felt super prepared for the first few years of board service. I was an active member on multiple boards, chairing committees, and rolling up my sleeves as needed. And then it happened. I found myself in the role of board chair....twice. Like many post recession nonprofit boards, we faced tough decisions and complex leadership challenges. The playbook I'd used for the last few years wasn't enough. I read everything I could on board governance, tapped into my networks, and created lists, dashboards, and strategy screens for making decisions. I also surrounded myself with the best board members I could find and plenty of wine. But at times it wasn't enough. I could write a book about everything I've seen and learned over the last few years... but I'll start with the things I wish I'd known. Starting with recruiting more board members like the guy I met last week. 1. Never stop cultivating your board. Often the Board waits for staff to manage the recruitment process. It is in your best interest as a board member to surround yourself with a diverse group of smart, dedicated, and energetic people who have the time to dedicate to Board service. 2. Yes, you must dedicate time to board service and usually that means more than 1 meeting per month. The guy I met last week spent time educating himself about the sector, meeting with stakeholders, and developing partnerships. Dreamy. 3. Learn to read the financials and actually understand them. Let's be honest. We all love the fantastic board treasurer who likes numbers. You need that person...but you too need to understand the balance sheet and the audit. Really! 4. Ask tough questions....it's your job. It is easy to feel intimidated by staff or to feel like you are micromanaging (don't do that) but it is your responsibility to help guide the agency. If you have a question, someone else probably does as well. Be brave and don't procrastinate. 5. 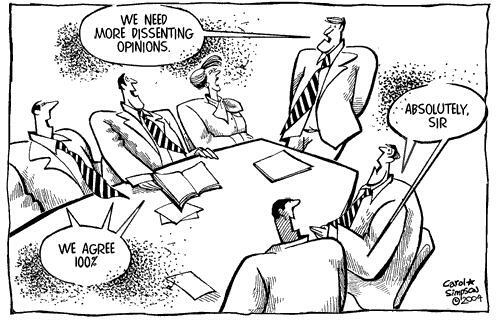 Insist that Board meetings are an effective use time. If they aren't, talk to the board chair about how to improve them. While hearing about amazing client success stories warms your heart...you need to spend just as much time talking about the strategic direction of the agency. 6. Annual evaluations of both the Executive Director and the Board are critical - but don't wait for the evaluation to bring up a concern. I suggest creating a results dashboard so that everyone knows what they are accountable for and what they will be evaluated on. Reviewing the dashboard each quarter will allow for course corrections. 7. This may come as a shock but Executive Directors don't have all the answers. An ED has a big job and a ton of pressure. Your job as a board member is to help support the ED. That means providing guidance, feedback, and direction. Celebrate wins and discuss challenges frequently. Provide resources for professional development and peer engagement. The best leaders want your support - it should be a red flag if they don't. 8. Build relationships with the ED and staff. Seems like a no-brainer but it is so important. The board is often seen as a mysterious group of suits who make decisions behind closed doors. Staff should understand the role of the board and the board should understand staff culture and programs. 9. Don't be afraid to say no. Sometimes you have to make tough decisions as a board member. It may be about the budget, a new program, or a grant opportunity. The board should have a strategy screen for making these decisions. I am a big fan of tools from La Piana consulting. 10. Succession planning for both staff and board leadership is key to future success. Nobody will stay in their role forever and there should be a well crafted plan for who will take over when leaders move on.